New York is a city of over 8.5 million people and plenty of concrete. But travel anywhere within city limits, and you're likely to find water. Tonight's event will explore what's in the waters of our city. Centuries of industrial activity along the Newtown Creek have dramatically altered this Superfund site which separates Western Brooklyn and Queens. 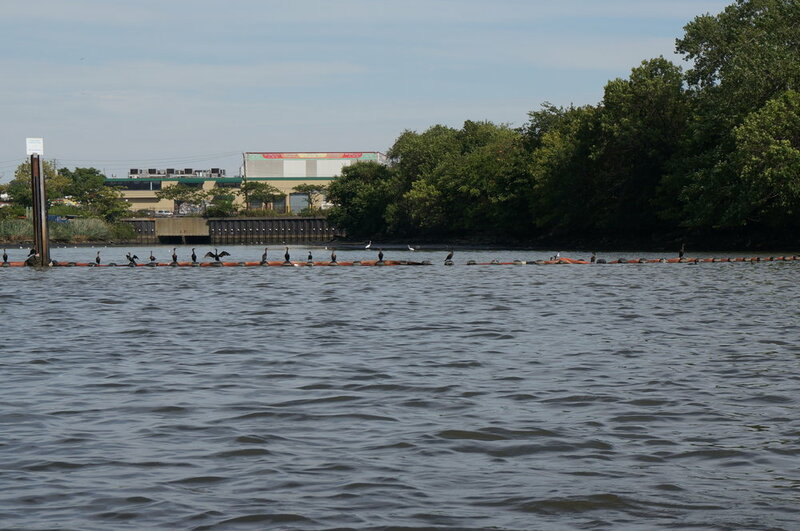 Learn about the current efforts to address pollution and restore life to the Creek with citizen scientist Willis Elkins of the Newtown Creek Alliance. The famous New York water is what makes the pizza and bagels so good, they say. But what's really in our drinking water and how does it affect our bodies? Explore these questions and more with Dr. Sasan Rabieh of NYU's Department of Biomaterials. Newtown Creek, the waterway border between Queens and Brooklyn, is a superfund site with a long history of industrial activity and environmental abuse. Come learn about on-going efforts, from the grassroots to municipal to federal levels, to clean-up and restore this challenging waterbody. Dr. Rabieh received his Ph.D. in Environmental Analytical Chemistry from University of Duisburg-Essen, Germany. His research area is elemental speciation. Dive into water head first with Dr. Rabieh as he explains how to determine the elemental composition of water and the scientific world of water analysis.